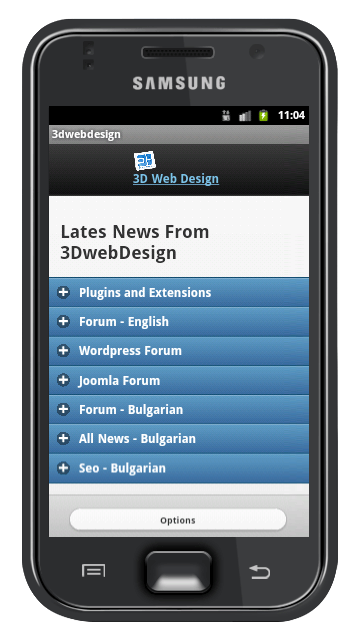 3D Web Design offers finished and cheap Adnroid application for your web site or online store for only 49 Euro. 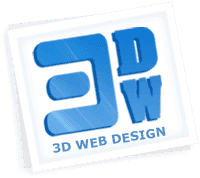 3D Web Design offers development of applications for Android which support mobile phones, tablets and other mobile devices based on Android. The application also provides you with direct contact with your clients and increasing of the audience of your brand and site. Our Android App is very suitable for online stores and big web sites which often put on the market new products and spread news or discounts. 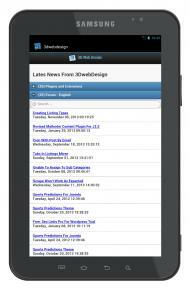 It displays the last news from several different sections of your website and can automatically check for news updates each of the sections. The application sustains rotation and it has options for synchronization density. It is multilingual, that is to say it has a language option (it can work with many languages, according to the standard it includes two - Bulgarian and English). It also has options for url addresses - whether the url addresses to be opened in the default browser of the mobile device or in the browser of the application itself. 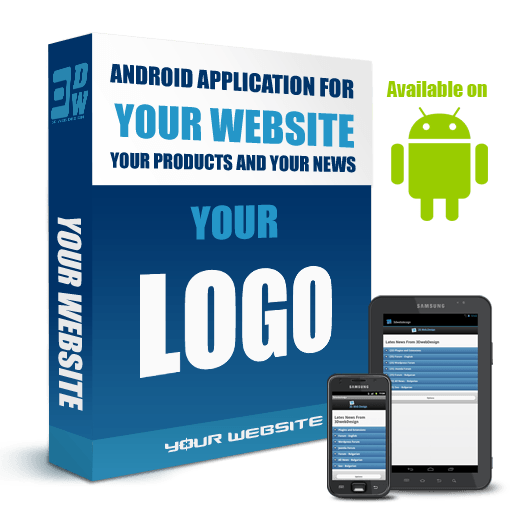 Why it is necessary your site to has Android application? 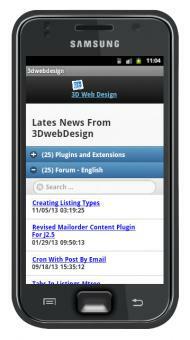 Why it is good your site to has its own Android application? Why Android? Android is the most popular operational system for mobile applications in the world. A huge number of tablets, mobile devices and phones (smart phones) support this operational system. The easiest way your users to follow your website for news and current discounts on their mobile phone or tablet is your site to has its own application. Do you know that right now at about 25% of the visits of the average Bulgarian sites comes from mobile devices? And do you know that this percent of attendance from mobile phone is expected to reach 45-5-% for the middle of year 2014? Well, do you want all these users to receive notifications to their phones when you publish a new product, new discount in your website or just another news? Do you want the user to be able with a single click to buy the product, to send you an e-mail or directly deal your contact number? 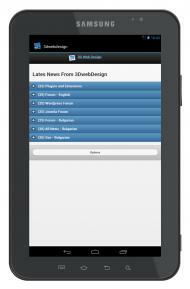 Yes, all of this is possible with the application developed by 3D Web Design. 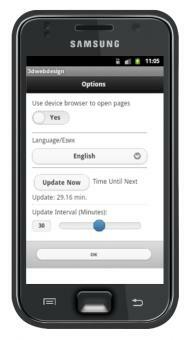 What is included in the finished application for Android which we offer? 3D Web design offers two types of packets with Android applications - a cheap one (shortened package) - "Standard Android Application" and full package (Brand Android Application) with included branding and making of the necessary logos and images for the application itself and making of banners and images for your site and the neсessary images for uploading of your application in Google Play. 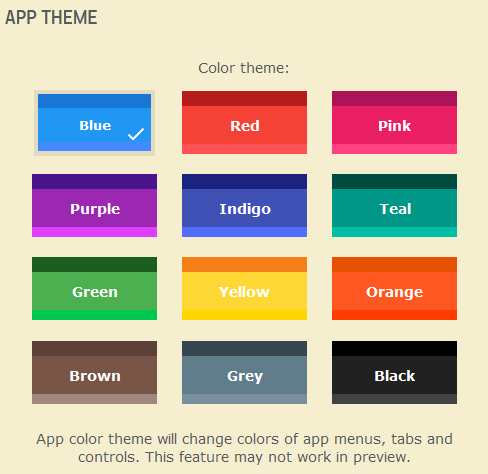 Ready to use Android application for website - "App Standard"
Our application supports almost every modern Android device - it supports all versions of the OS Android up from 2.2. By now Google Play shows more than 14000 types of supported mobile devices! Included branding - exchange of the icon and the logo in the application with your logo. The making of images is not included in the price - you have to give them finished to us. Button and contact page in the application - which refers to link or e-mail address. Button with your phone number in the application. Direct deal with a single call. Opportunity for automatic following of your site for new products or news - to 2 different sections from your website - included in app as page or as RSS feed. 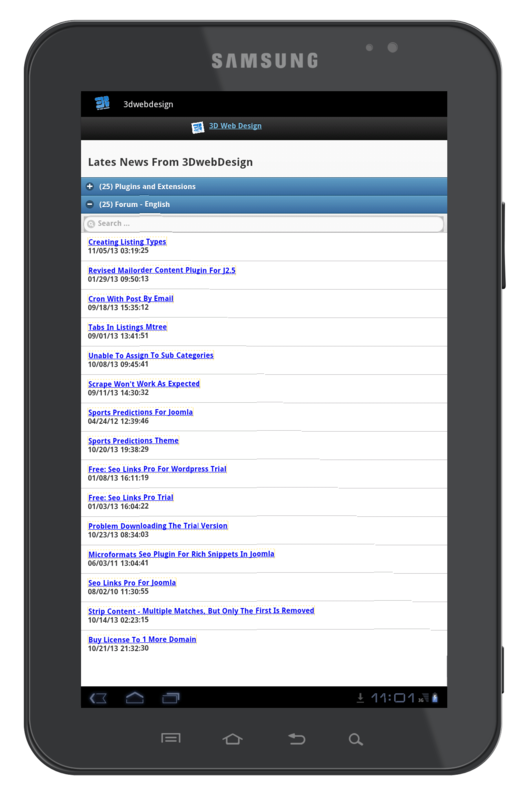 The application remembers which news are already read by the user and which are not read. It marks differently which the news which are read and these which are not read. Development time: to 5 business days. 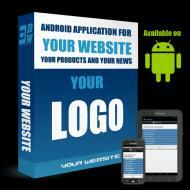 You receive the application packaged and ready for uploading in Google Play and in your site. How to order? Order Android App for your website now! 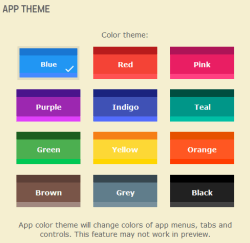 Finished Android application for site - "Brand Application"
You receive the application packaged and ready for uploading plus source code of the application for eventual future changes. Opportunity for automatic following from the application of to 5 different sections of your website - shown as pages or as Rss feeds. Map, Facebook, Twitter and Youtube profiles. 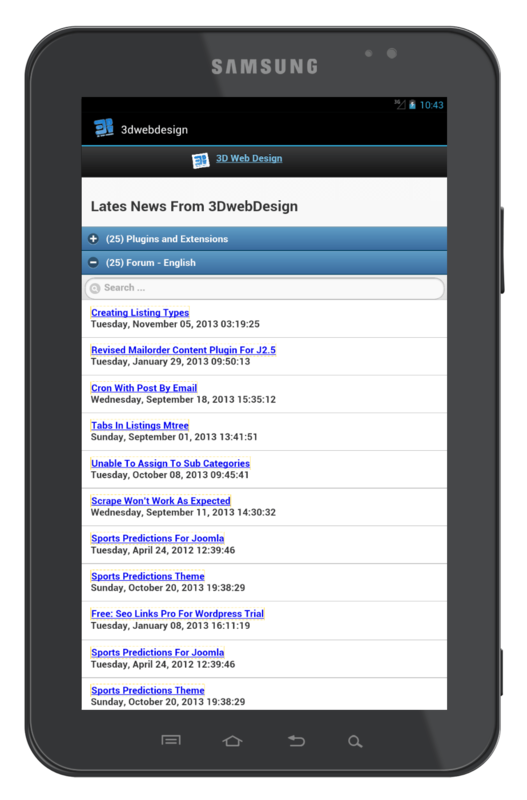 The code of the application is 100% developed by 3D Web Design. Thus we can make any changes by your wish, after additional payment. Do you want to become one of the big brands in your niche? It may sounds beyond all belief but the Android applications help also to the Seo optimization and the classifying of your website in Google. First advantage: More popularity for your brand and site. Yet a small number of sites has Android applications - applications has only the biggest brands in Bulgaria and Google knows that. Second advantage: You receive very strong links toward your website(the site play.google.com has Google PageRank 9). When you receive the application, you will be able to upload it in Google Play(play.google.com). After the uploading of the application, you will receive a direct link to your site - the link may refer to personally chosen by you URL address. Do you want to see a demo version and to try it: download and install the Android application of 3D Web Design. What are you waiting for - one of your contestant has left you behind his back? 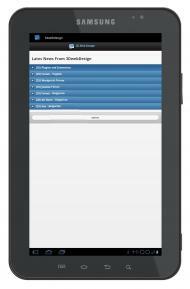 Contact us, try the demo version of the application or give a call to (+359)898615736.